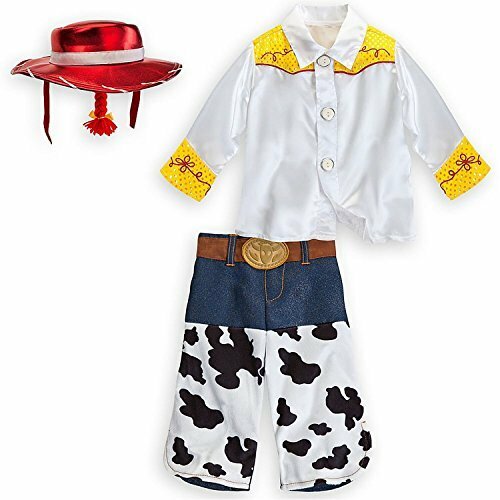 Our Toy Story Jessie Halloween costume includes a printed jumpsuit with attached chaps and hat. 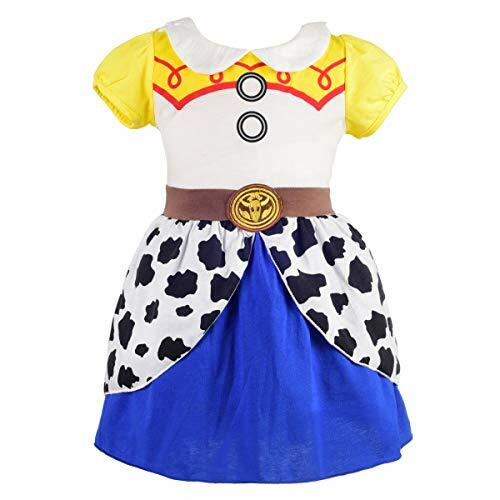 Our Toy Story Jessie Halloween costume comes in child sizes X-Small, Small. 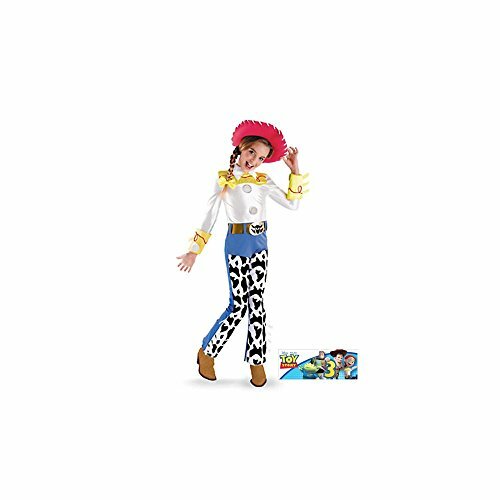 This Toy Story Jessie Halloween costume is an officially licensed Toy Story costume. 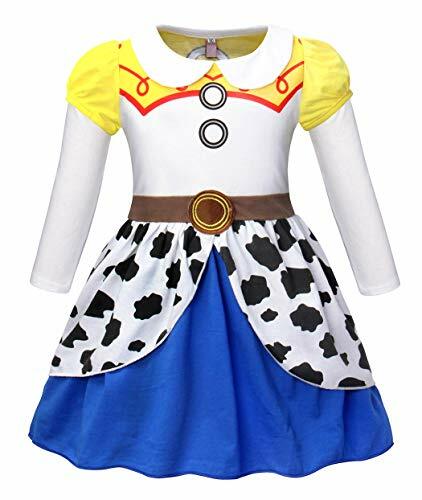 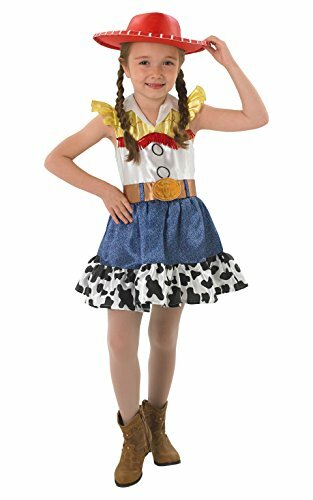 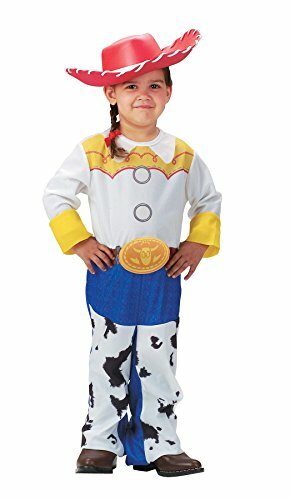 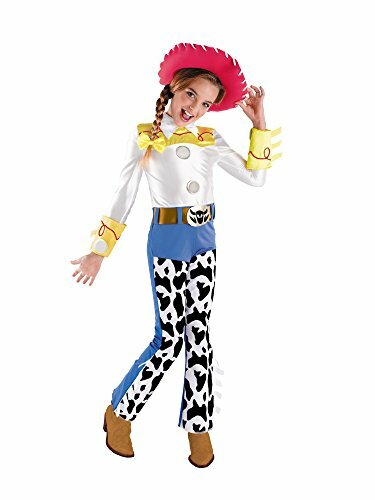 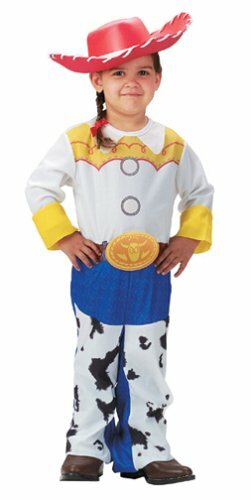 The boots are not included with this Toy Story Jessie Halloween costume for kids. 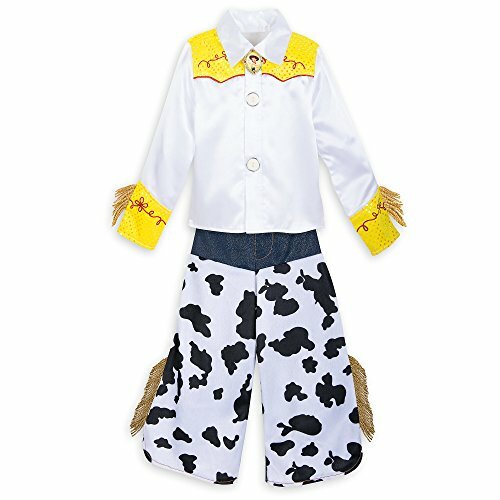 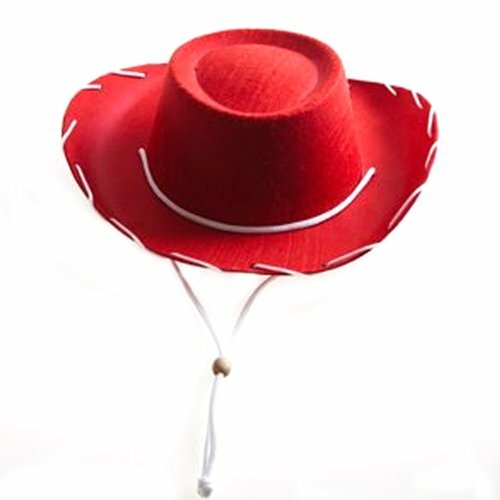 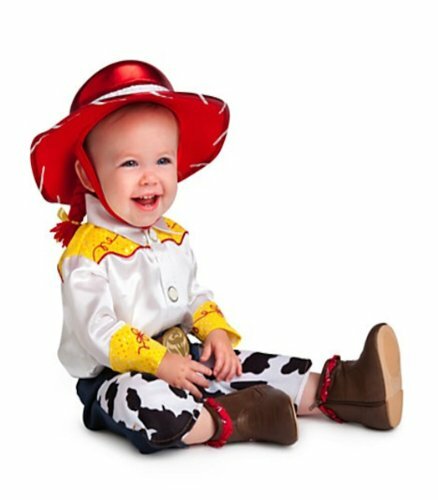 Your cute little cowgirl will round-up the compliments when she wears Jessie's three-piece costume for two-steppin' role play fun. 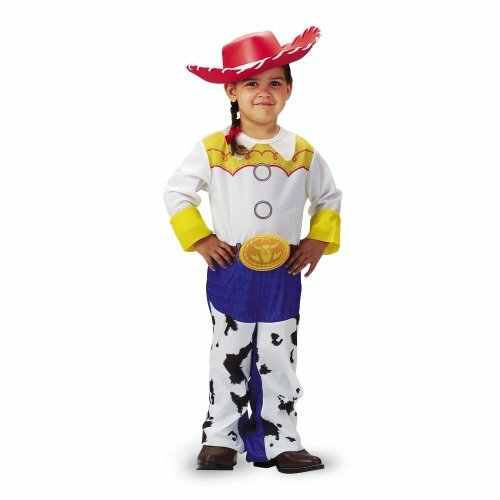 Your cute little cowgirl will round-up the compliments when she wears this Disney Store Jessie three-piece costume for two-steppin' role play fun!